In a galactic empire inspired by Vietnamese culture, a detective and a mindship must team up to solve a mystery. Very loosely inspired by A Study in Scarlet, if Holmes were an eccentric scholar, and Watson a grumpy discharged war mindship. Available in limited hardback from Subterranean(*), in ebook worldwide (from Subterranean in North America, and from JABberwocky ebooks in the rest of the world), and now in a brand-new paperback edition outside of North America! “This isn’t a tidy transposition of Holmes and Watson into far-future space, for all that the elements of homage (Long Chau is an abrasive self-medicating ‘consulting detective’) shine through. The Shadow’s Child is a fully realized character in her own right, and the dislike she feels for Long Chau is sustained and justified. Instead it’s a window onto a beautifully developed world that widens the meaning of space opera, one that centers on Chinese and Vietnamese cultures and customs instead of Western military conventions, and is all the more welcome for it. This slim volume packs a visceral punch. Absorbing prose takes the reader in the dark, frigid space between the stars, where ships can fail, physically and emotionally, as well as people. (…) an imaginative read. This slim but indispensable book will add to [Bodard’s] laurels… an invaluable new iteration to the Sherlock Holmes canon… a tale of the far future with daring imagination… With a clever nod to A STUDY IN SCARLET, this is challenging and huge fun. One of the best novellas I’ve ever read…I adored this book. It was the perfect combination of science fiction and mystery, with a Sherlock Holmes and Watson-esque relationship between the two main characters, The Shadow’s Child (a mindship) and Long Chau. This book shows sharp, intelligent dialogue with wildly peculiar worlds and spaces. The elegant weaving of narrative is what we’ve come to expect from de Bodard’s unique style. This is the opposite of a closed-room mystery, an open-space mystery which pushes the boundaries of A.I-as-person and genius-as-misanthropic-detective. Deeply affecting and always entertaining, The Tea Master and the Detective should be your next read. The Tea Master is an astonishing Holmesian mystery, in which Holmes is a woman and Watson is a spaceship. It is everything I wanted it to be. Tea, space, and mysteries within mysteries. 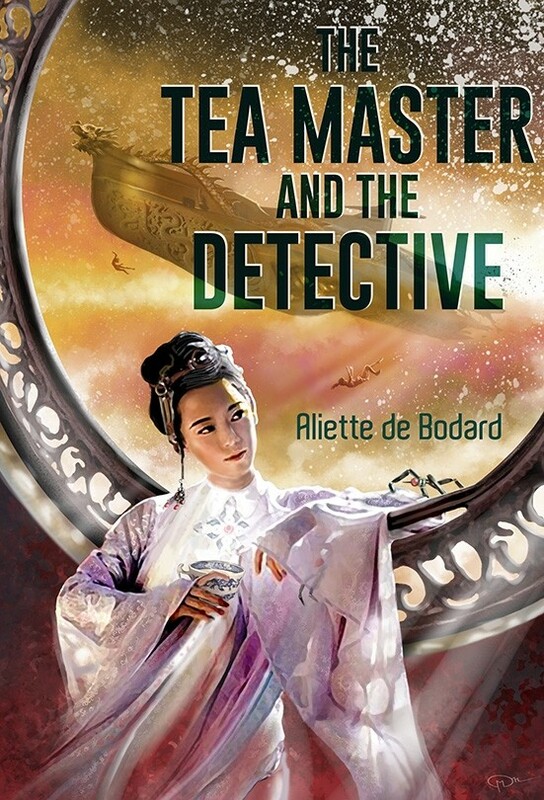 In Aliette de Bodard’s excellent, far-seeing The Tea Master and The Detective, an unlikely pair comes together to solve a mystery in the void and to face their pasts. This philosophical thriller is beautifully steeped in de Bodard’s Xuya universe. For readers who are familiar with her mindships, this novella will be a welcome addition. For readers who may be new to Xuya, The Tea Master is an excellent entry point. The pairing of brilliant-but-hobbled detective Long Chau with the perceptive-but-wounded mindship The Shadow’s Child is one of those matches that creates enough friction on the page to make sparks. 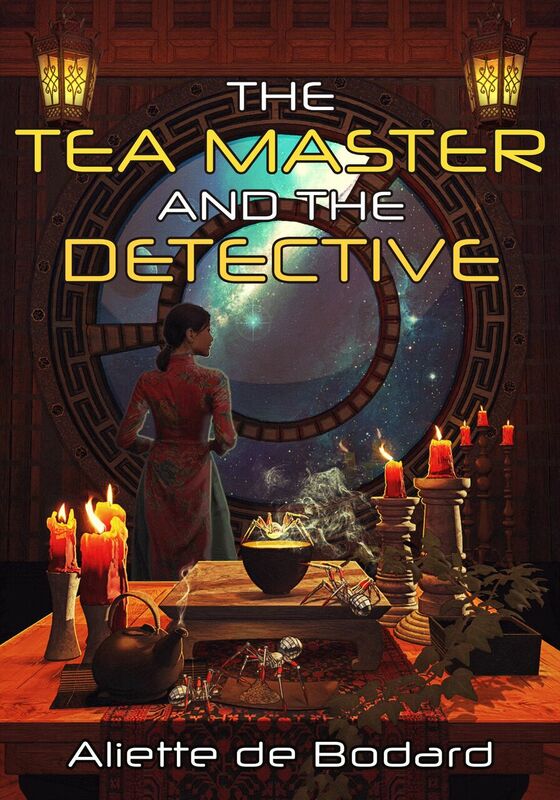 Set against a background of dramatic family politics, teas, and high-tech bots, The Tea Master and The Detective is a distinct pleasure for discerning readers. It’s difficult to know where to start with the reasons to read The Tea Master and the Detective, there is such an embarrassment of riches. The world, the situation, the delicious idea of a ship playing a particularly intelligent and suspicious Watson to a very secretive female Holmes, the prose that glitters with imagery without once becoming overbearing. Briefly, it’s de Bodard firing on all cylinders, and that should be enough for anyone.